Star shaped white LED light for sewing onto to something. 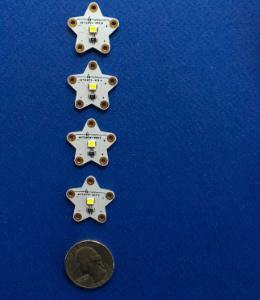 These stars can be used without a microcontroller but require the sewable battery holder. Can be used with the LilyPad or other textile ready microcontroller. 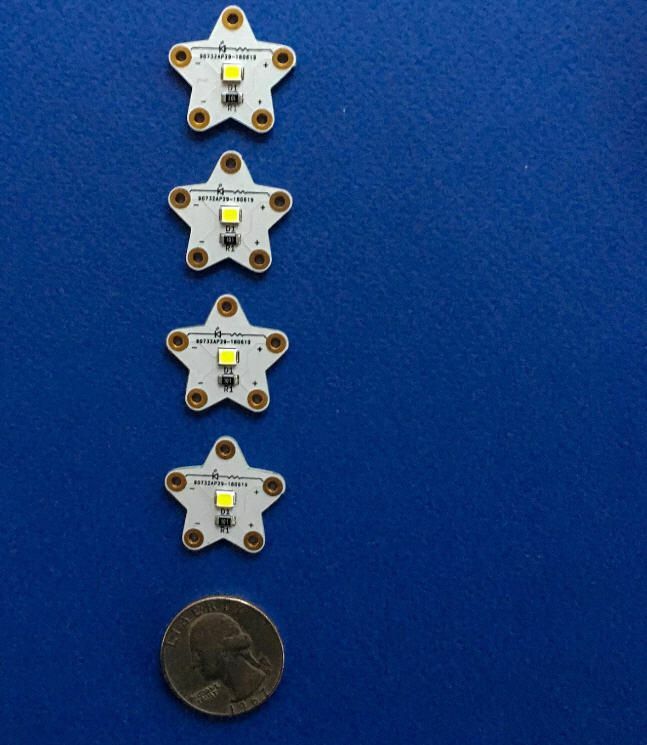 These cool LEDs have a built-in resistor. They rely on conductive thread. Our high-quality conductive thread and sewable battery holder are perfect companions to these sewable stars. With the battery removed, fabrics with electronics can be washed. Conceptually, these circuits are identical to their wire and solder counterparts, observing the same principles of polarity and resistance. Only the materials, methods and sometimes scale are different. There is a lot more to sewable circuits than LEDs. Check out the Sparkle Labs E-Textile kit or the E-Textile Lab pack.